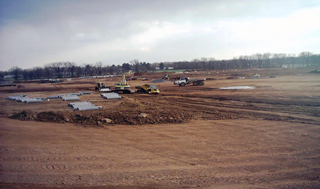 B&J Excavating was awarded a contract for the development of the Philadelphia Premium Outlets Mall in Limerick, PA. 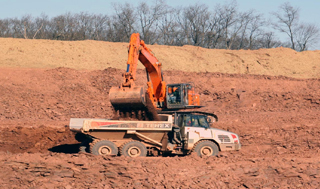 This fast-track contract calls for the excavation, underground utilities, paving, access road development and improvement to existing thoroughfares and bridges over existing streams, which will be completed for a projected opening in Fall 2007. 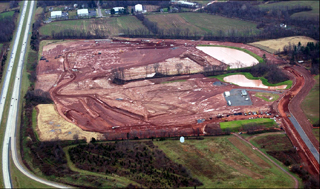 The Limerick Project spans 100 acres and will require excavating nearly 800,000 yards of earth. 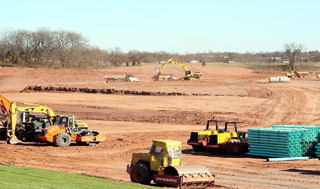 Also included in the project is the installation of more than ten miles of underground piping, which includes storm, sewer, and water lines, and in excess of 60,000 tons of asphalt installation. 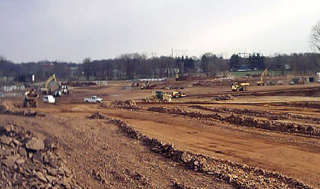 B&J is also charged with major highway improvements for PENDOT along with a new, 5,000 foot access road to the mall. access roads across existing streams on the site.